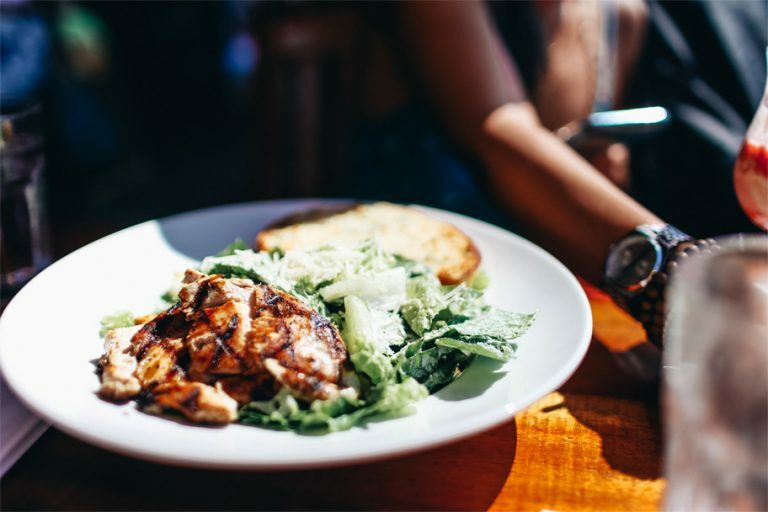 Visitors come from around the world to visit Duke’s restaurant because of its location on the beach at Waikiki and because of its association with legendary surfer Duke Kahanamoku, Hawaii’s five-time Olympic medalist in swimming. 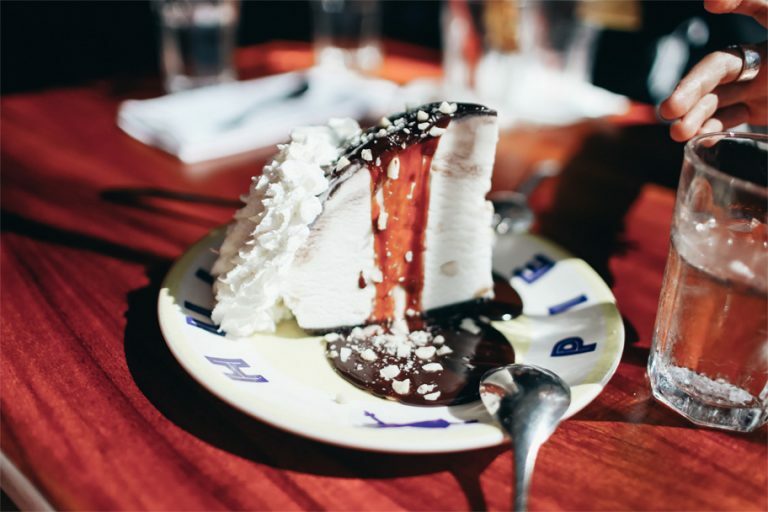 Others rave about dessert, Kimo’s Original Hula Pie that starts with a chocolate cookie crust topped with macadamia nut ice cream, finished with hot fudge, roasted macadamia nuts and whipped cream. Beyond food, Duke’s parent company, TS Restaurants, is known for its philanthropy, from sponsoring the annual Duke’s Oceanfest to promote ocean awareness and waterman sports, to giving back to the community through its Legacy of Aloha program of charitable efforts ranging from student scholarships to supporting local organizations working to combat hunger, preserve the environment, support the elderly, and perpetuate Hawaiian culture. I have a more personal reason to frequent Duke’s. It’s one of my favorite restaurants, where I can feel completely carefree and relaxed because of its beachy, casual vibe. The stress-free atmosphere makes it a perfect place for a first date, and it’s where I chose to meet 16 years ago for a first lunch with Jason, who would later become my husband. I must have liked him a lot, because I can’t even remember what I ate that day! These days, my meals here always start with a Lava Flow, a more colorful take on a Piña Colada, with strawberry puree giving it the color of volcano goddess Pele’s flowing pahoehoe. No doubt Jason was seduced, in part, by the Hawaii-inspired, comfort-driven lunch menu that includes mac nut-crusted chicken katsu, Korean kalbi street tacos, and a mango BBQ bacon burger. With a little bit of Duke’s Waikiki magic, Jason and I have now been married 13 years and two keiki later . 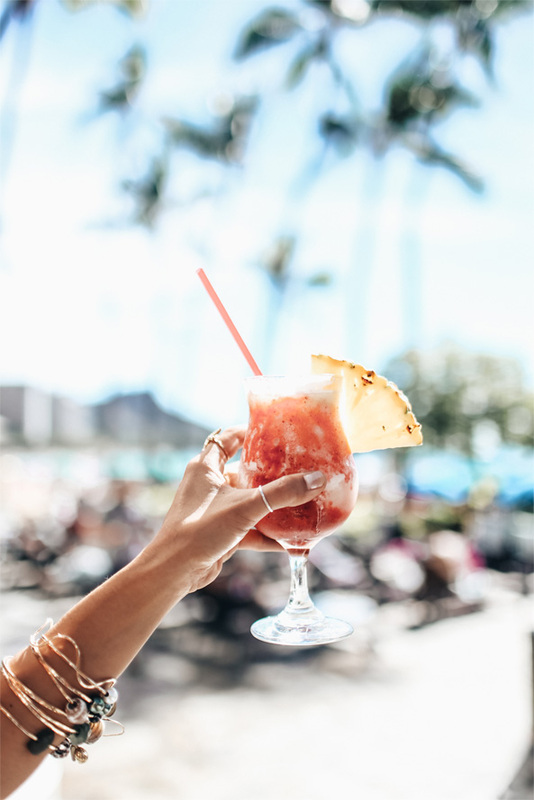 Duke’s Waikiki is in the Outrigger Waikiki Beach Resort, 2335 Kalakaua Ave.
[ki-ele] Paradise bangles Lava Flow rum, blended with pineapple juice and coconut with strawberry puree. Duke’s famous tossed Caesar salad. 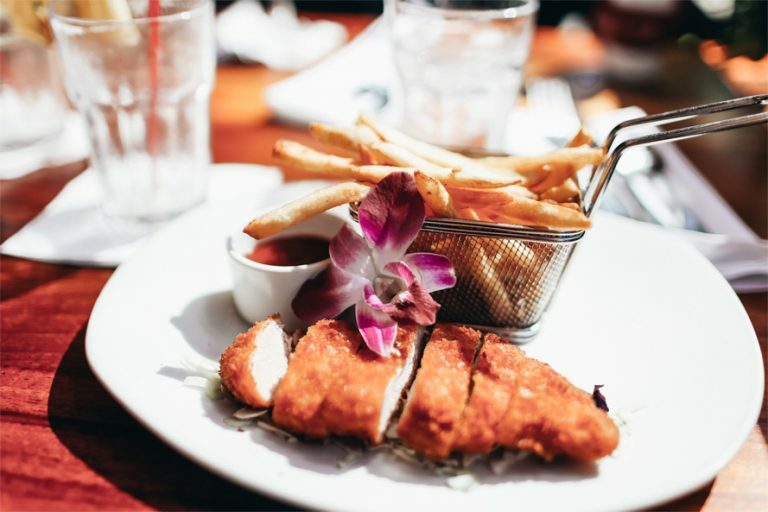 Chicken Katsu mac nut crusted chicken and katsu dipping sauce, served with steamed rice or fries. Kimo’s Original Hula Pie made with a chocolate cookie crust.